A Thank You to the Belvedere Fund of the Maine Community Foundation for helping us fix the exterior doors of our church. 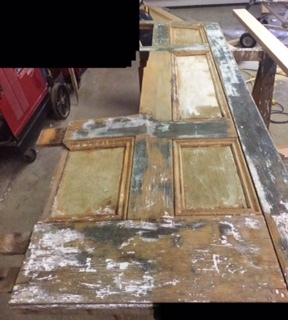 These pictures show Tim Deschiffart and his crew stripping the front doors of the church, getting them prepped, and ready for repainting. Pictures courtesy of Peter Duston.